Hi everyone! 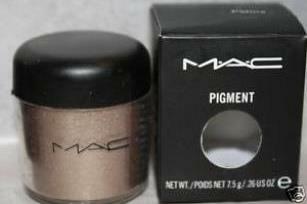 So I wanted to review the gorgeous MAC Patina Pigment that I got for Christmas! This pigment retails for $19.50 and holds .15 oz of product. 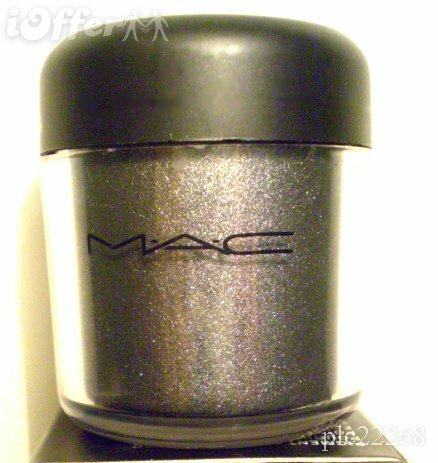 It is a very shimmery pigment and I would describe it as a metallic, brownish chrome color. I applied this eyeshadow without a base and it turned out extremely well! In the pictures, I also used the Lancome 3-D Liquid Eyeliner, Lancome Le Stylo Long Lasting Eyeliner, and Maybelline Define-A-Lash Mascara. All the photos below were taken with flash except the first one. I really love this entourage and I think that I might use it as my everyday neutral look! Let me know what you think of this eye look and let me know if there is anything you would like me to review!!! Fabulous Friends Panel: Favorite Bath & Body Works Scent and Item! 6 Winter Health Tips and Product Suggestions!!!! wow i love it! it looks pretty on you! great blog you have here! newbie blogger here! it'll be so sweet of you if you follow me there too! Love your eye make up and that shadow looks great. Thanks for sharing, I'm gonna try it soon.